A good introduction to volcanoes. Easy to read, this book is suitable for ages 5-7. A great mountain looms over a village on a tropical island. Sometimes the people can hear the mountain rumbling like a sleeping giant. They throw offerings of sweet flowers to the giant, praying that he will have pleasant dreams. But when the island birds fly away, the people know that they must find a new home. Celia Godkin's luminous illustrations gently reveal how nature can both destroy and create. End papers provide information about volcanic islands and its inhabitants. A fascinating account of a scientific expedition to a hydrothermal vent off the coast of Acapulco, Mexico. The eruption of this underwater volcano cooked the worms, clams, and mussels around it. But then, new cracks appeared in the sea floor, releasing clouds of bacteria which attracted new life. Eventually, a thriving community was born. An excellent book for ages 9 and up. The Finch family move into a new home that has a small volcano in the basement. An interesting title, but a boring story. Everybody spends the entire time worrying about an impending eruption. Nobody uses the volcano for anything. All it does is overheat the house and the grounds. The Finches' furnace really isn't fabulous at all. An interesting, fact-filled book from DK Publishing. With lots of photos. Includes a timeline, glossary, and index. Two brothers, Sumo and Duffy, visit their Aunt Lulu, who lives on the island of Kocalaha. Lulu sends them on a perilous expedition into the heart of an exploding volcano. The story has little depth, but the artwork is quite good, with several dramatic scenes. It would make a good action-adventure film. Nine-year-old Samira and her family are forced to flee their Assyrian village because of the approaching Turkish army. Only Samira and her brother Benyamin survive. Over the next four years, they are sent from one refugee camp or orphanage to another. Then a new orphanage director, Susan Shedd arrives. She decides to take all 300 orphans back to their own villages. But they will have to make the long journey on foot. To keep track of so many children, she divides them into "families" who will look after each other. Samira's new family helps to ease her grief, even as she longs for home. Fifteen-year-old Tara is caught between two cultures. She was born in Canada; her parents came from India. She doesn't like being labelled one or the other; she just wants to be herself - an individual or group of one. The culture clash becomes more intense when her paternal grandmother comes for a visit. Dadiji never forgave her son for leaving India and adopting a Western lifestyle. Tara is determined to hate Dadiji until she learns the truth about her grandmother's life during the Quit India campaign. Led by Mahatma Gandhi, the campaign called for British colonists to leave India immediately. Many citizens were beaten and imprisoned, including members of Dadiji's family. Her grandmother's painful story makes Tara question her place in Canada. Her inner turmoil is palpable, especially in her relationship with her classmates. Rachna Gilmore's quietly powerful story demonstrates that the many sides of history must be heard in order to understand it. A collection of poems and short stories that reveal aspects of Muslim life, such as Ramadan, Eid, and the Hajj. Includes sayings from the prophet Muhammad and a glimpse into the key events of his life. A good book that teaches kids about Muslim culture. Tetl's conversations with Mother Earth help him deal with racism. Each poem reveals the interconnectedness of all living things. More importantly, Tetl's link with nature instills pride in himself and in his ancestors. 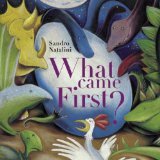 A book about evolution, beginning with the Big Bang, the first life-forms and the extinction (and survival) of certain species. With cheerful illustrations. Parasites are truly amazing creatures. They are uniquely designed to survive the immune system of their hosts. Zimmer's descriptions of how parasites evolve, invade, reproduce, and influence their hosts' behaviour are fascinating, alarming and repulsive. But they are essential for the health of our planet. Though the book was written for an adult audience, junior entomologists with high vocabularies will find it very intriguing. Includes an extensive bibliography and scary photos. Words really can't describe the work of photographer Andrew Zuckerman. His close-up portraits of lions, bears, insects and fish are simply amazing and inspiring. Large and heavy, the book is marketed to adult readers, but children will be mesmerized, especially by the double-spreads of porcupine quills, ox hide and zebra skin. 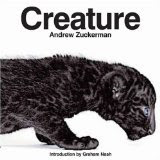 An alphabet book based on Creature - Creature ABC - is also available, but the smaller format is not as impressive. 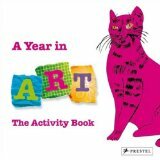 An excellent text to teach children about art and interpretation. To be read by two people (e.g. instructor and student, parent and child), each activity, whether writing a story, drawing a picture, answering questions or locating objects encourages curiosity, creativity and appreciation for artists and their work. note: There are a few minor problems, mainly typos and sentence structure. Also, the instructions for Nov 10th could have included a diagram and numbered steps. In the piney woods, the trees bear witness to three intersecting stories. Two lonely animals, a cat and a dog, form a loving family. A cruel man named Gar Face, the dog's owner, hunts an ancient alligator. And a lamia, an enchanted snake able to assume human form, waits to take her revenge on the daughter who left her long ago. The Underneath is the dark space under the porch, where it is safe. But the kitten Puck, lured by the goldy sun, ventures into the Open. Captured by Gar Face, he escapes and tries to find his way home. A wondrous story filled with emotion, suspense, and magic. Every word is meaningful, and each sentence sounds like poetry. A spell-binding and beautiful tale that belongs on every child's bookshelf. note: Very young children will be disturbed by scenes of animal cruelty. 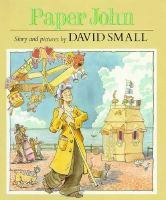 Morris the fishmonger and Minnie the milliner, fall in love and decide to marry. Morris, despite Minnie's objections, uses all their money to plan an elaborate wedding. He reasons that once their friends realize what a magnificent wedding it will be, they'll buy them the most lavish gifts. Morris' plan backfires, but it all ends happily. Ricci's artwork accurately portrays a Kensington Gardens neighborhood as seen in the 1920s. Paper John makes and sells paper roses, paper boats, and other items. He even lives in a paper house! His prowess with paper comes in handy when he accidentally snares the devil in his fishing lines. Sarah Stewart, with her husband, illustrator David Small, has created a number of quiet, perfect stories. Enjoy. Lydia Grace, sent to stay with her Uncle Jim, tries to win his smile by transforming the neighborhood with flowers. An Amish girl visits a large city for the first time. In a series of diary entries, Hannah describes her day and what she sees in contrast to her rural life. Elizabeth Brown collected books because she loved reading. In rhyming verse, her story is told: how she eventually ran out of room and created a library for an entire town. Look for David Small's haunting picture of a lamp and a chair surrounded by mountains of books. A strange tree is growing in Miss McGillicuddy's yard. Its leaves are very unusual. As the seasons change, more and more people gather at the tree, even digging under the snow. A subtly told story. Belle was often alone, but she had a friend - Beatrice Smith, the housekeeper and guardian. They often walked together: Belle and Bea, hand in hand, by the sea. But one day, Belle went to the beach by herself. Then Bea showed what a good friend she really was. The story ends on a poignant note, with an adult Belle remembering a very special person. Ben needs to find a new home for his two rabbits. So he blasts off in search of the bunny planet. Meanwhile, the spaceship is getting crowded with more and more bunnies! A funny wordless picture book. Three little bunnies have had a bad day. But far beyond the moon and stars, twenty light-years south of Mars, spins the gentle Bunny Planet, and the Bunny Queen is Janet. Janet says to each, "Come in. Here's the day that should have been". Very comforting. An exploding rabbit population causes chaos in this entertaining story. Includes a baby rabbit book, a carrot recipe book, and a surprise ending. Each page is funnier than the last!